This is a jeweller's display counter in beautiful original condition. 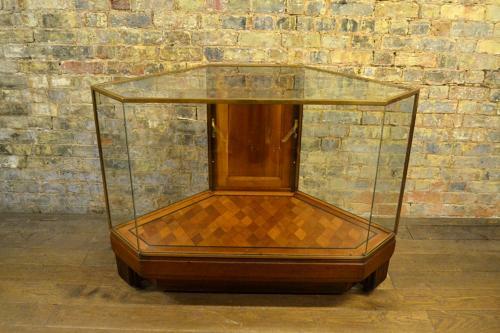 Bronze framed, this cabinet has a mahogany base and door, as well as a mahogany parquet floor. There is one adjustable shelf and a rear opening door.